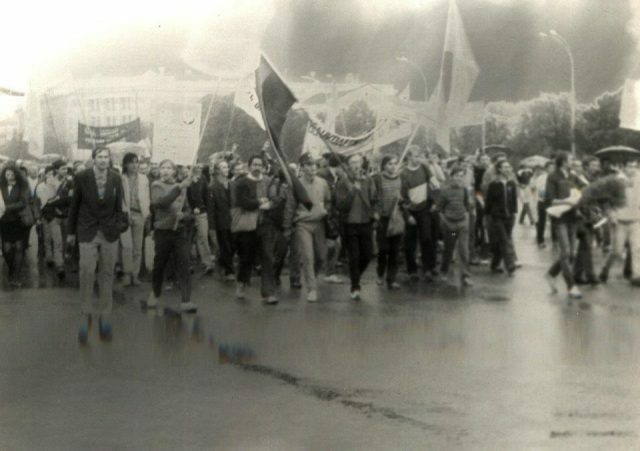 Kharkiv, November 7, 1990, Anti-communist assembly. One of the biggest marches ever. 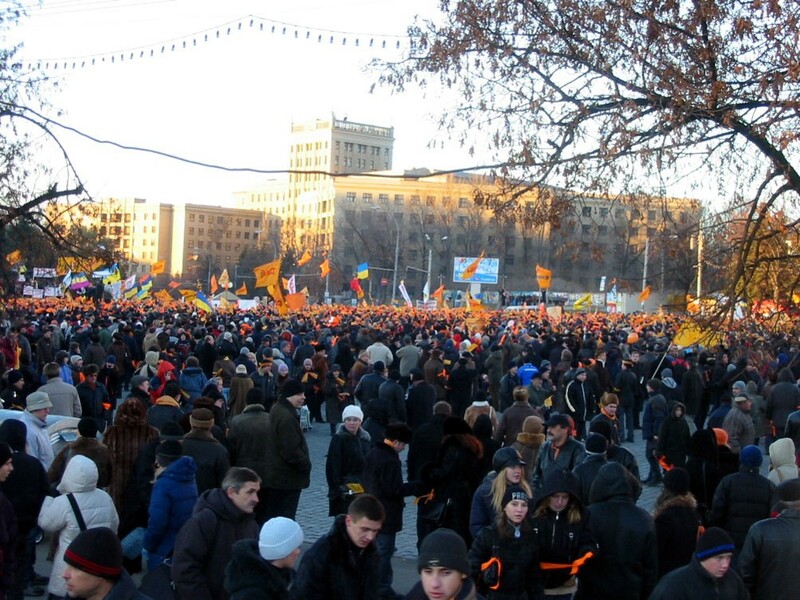 Kharkiv, November 24, 2004, Freedom Square is full of Orange Revolution activists. 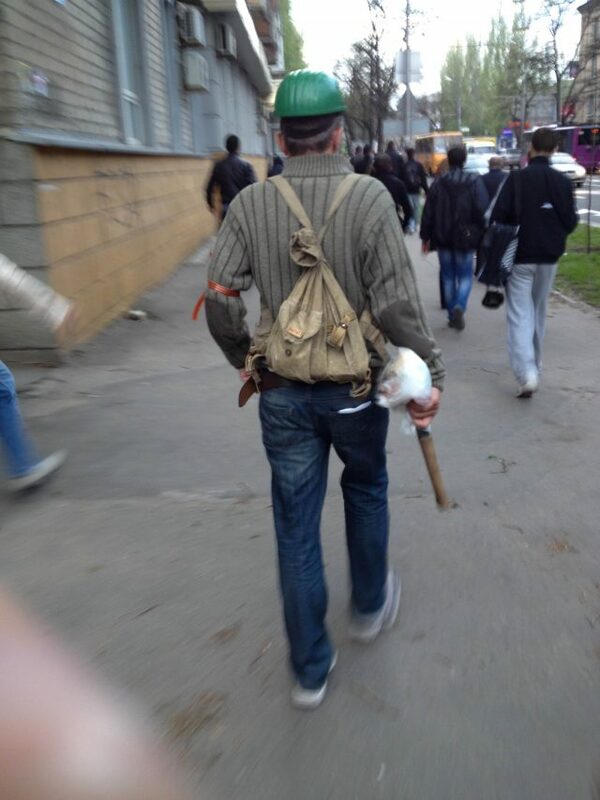 Kharkiv, April 12, 2013. 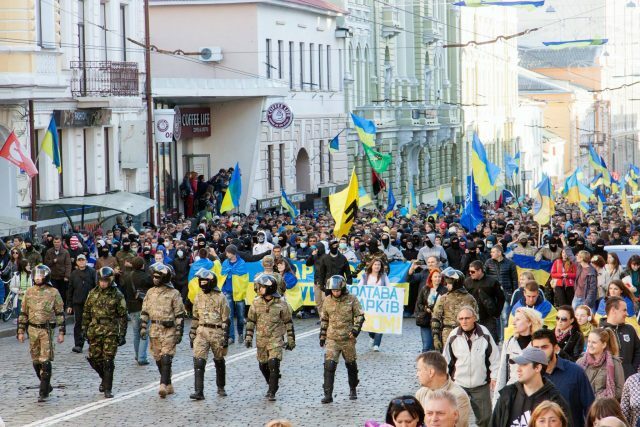 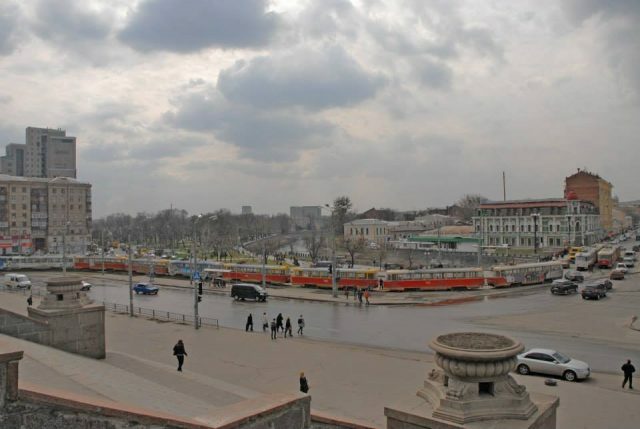 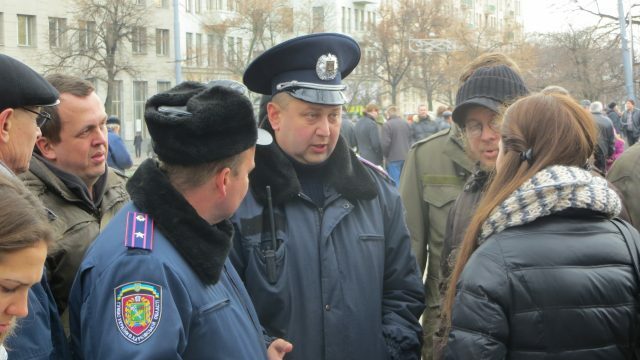 To obstruct the peaceful gatherings of opposition city government of Kharkiv stopped all trams around the square where the gathering was scheduled. 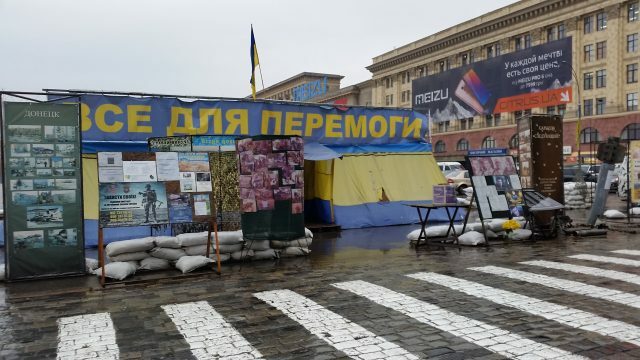 Organizers are preparing for the first really big rally. 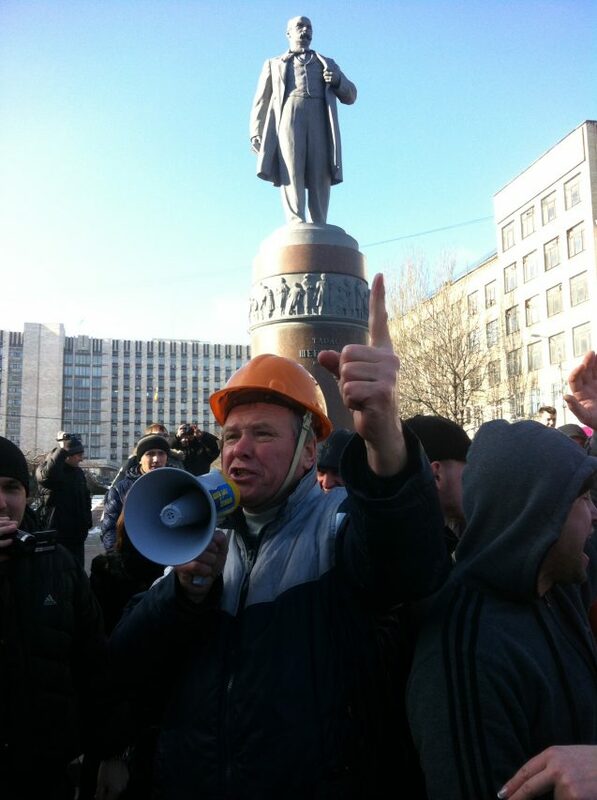 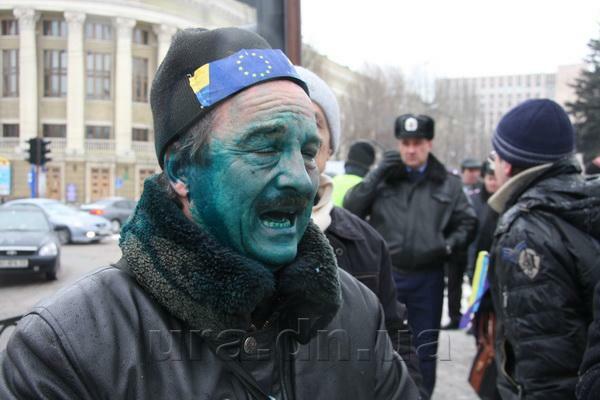 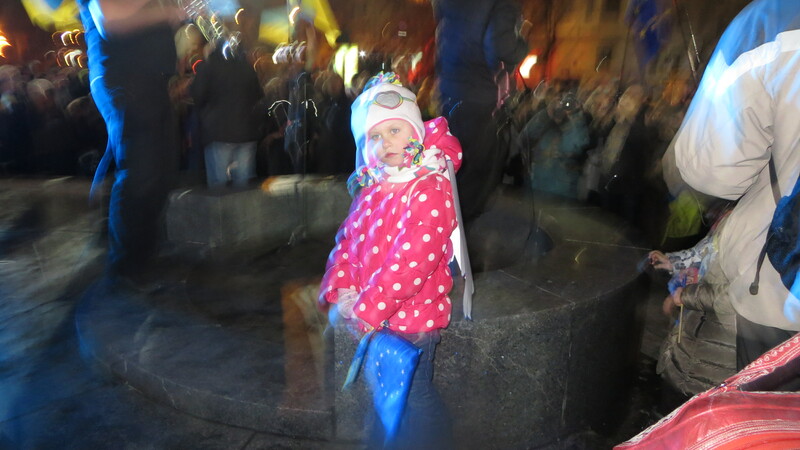 December 28, 2013, Kharkiv, Lutsenko speaks to the crowd after having been splattered with brilliant green (an act intended as public humiliation, similar to tarring and feathering). 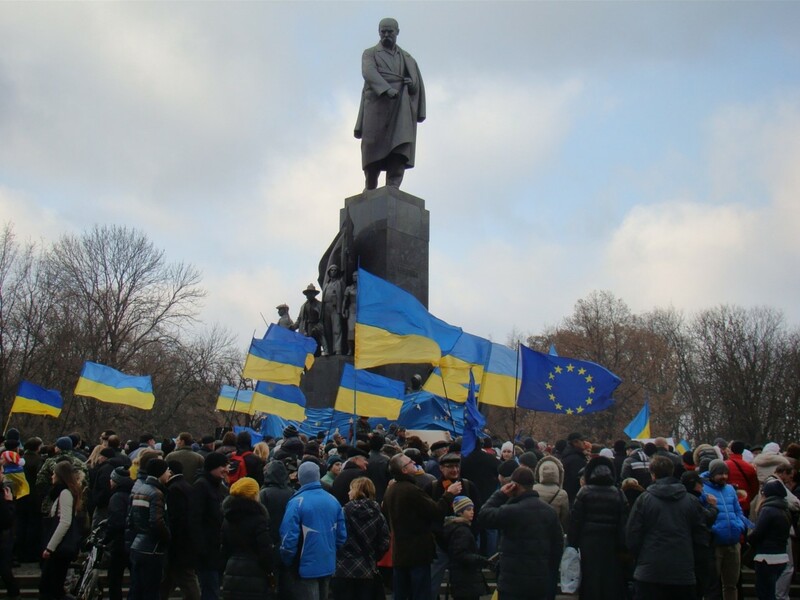 Final assembly of 1st Euromaidan Forum near the Yaroslav Mudry monument. 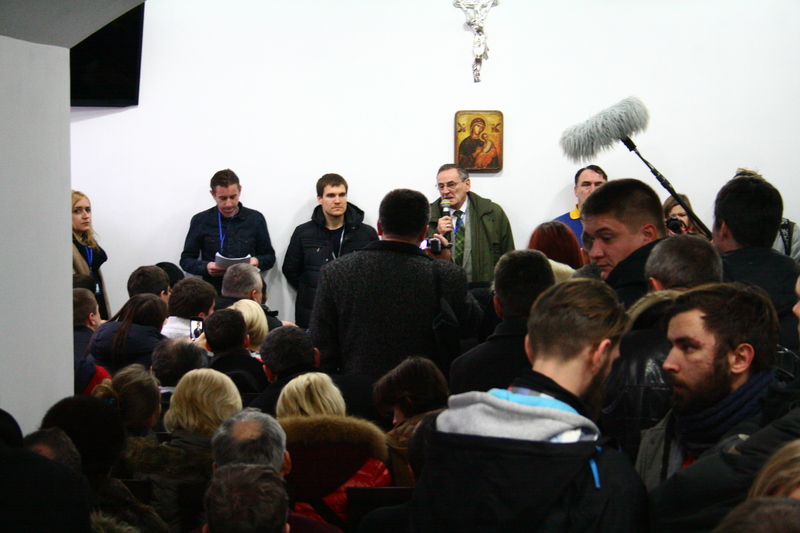 Supporters of Yanukovych are gathered for counter assembly. Final assembly of 1st Euromaidan Forum near the Yaroslav Mudry monument. 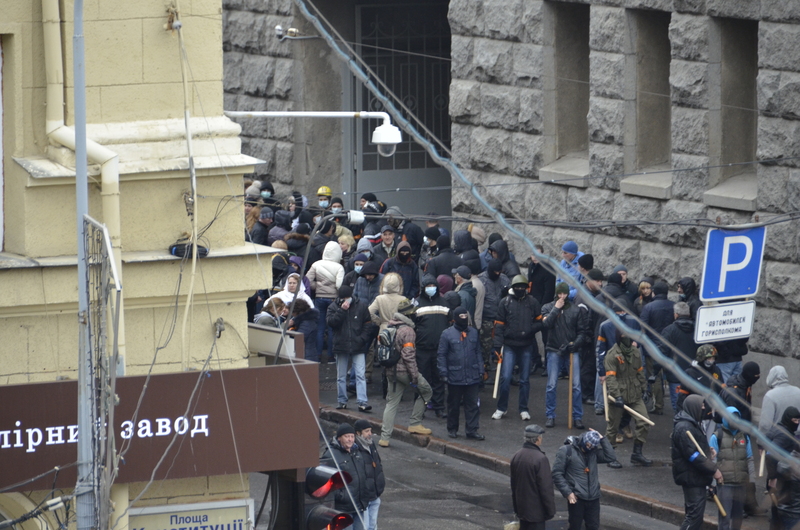 The police separates Euromaidan from supporters of Yanukovych. Final assembly of 1st Euromaidan Forum near the Yaroslav Mudry monument. 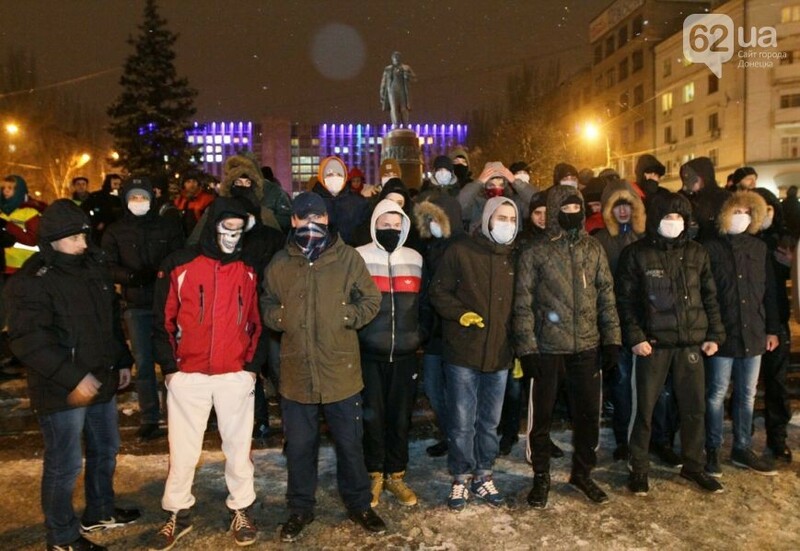 Men surrounded created live chain to protect the assembly from hooligans. 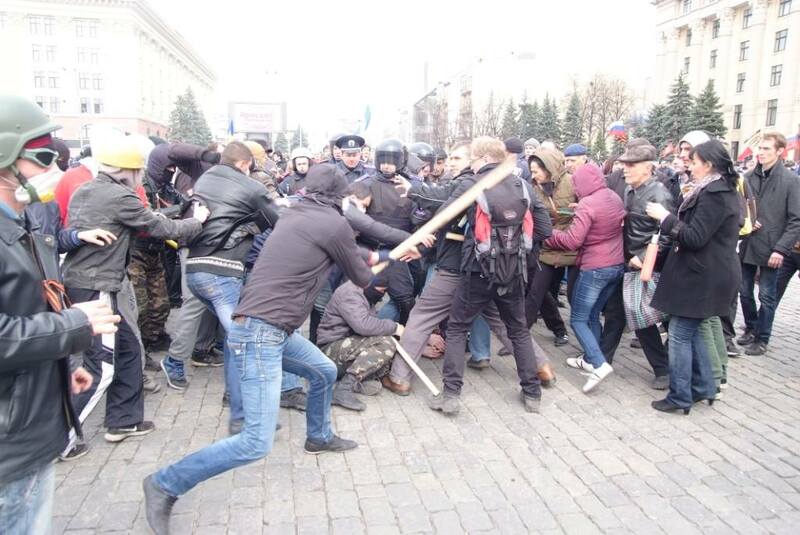 Kharkiv, April 7, 2014, Freedom Square, Russians are beating patriots, police does not interfere. 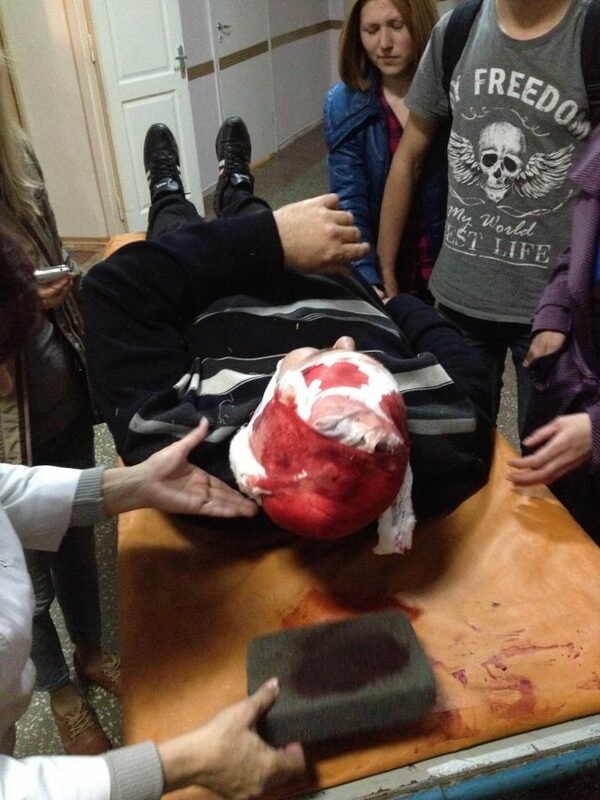 Donetsk, April 29, 2014, Participant of Ukrainian assembly beaten by Russians receives first aid. 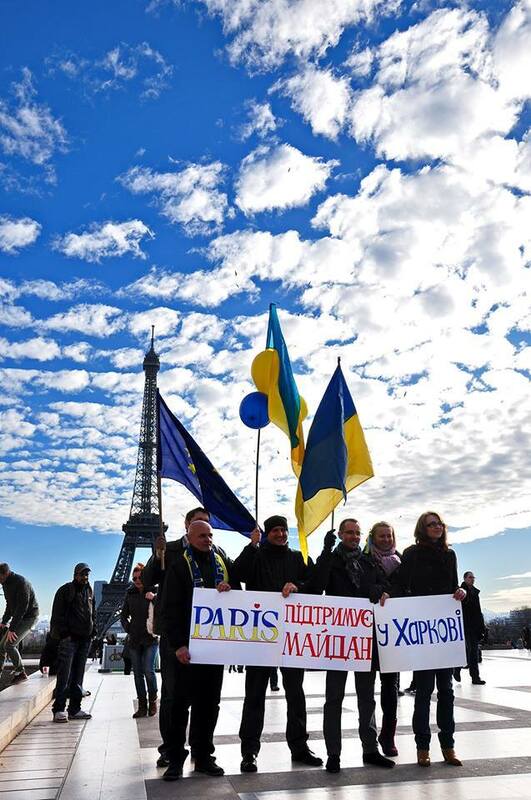 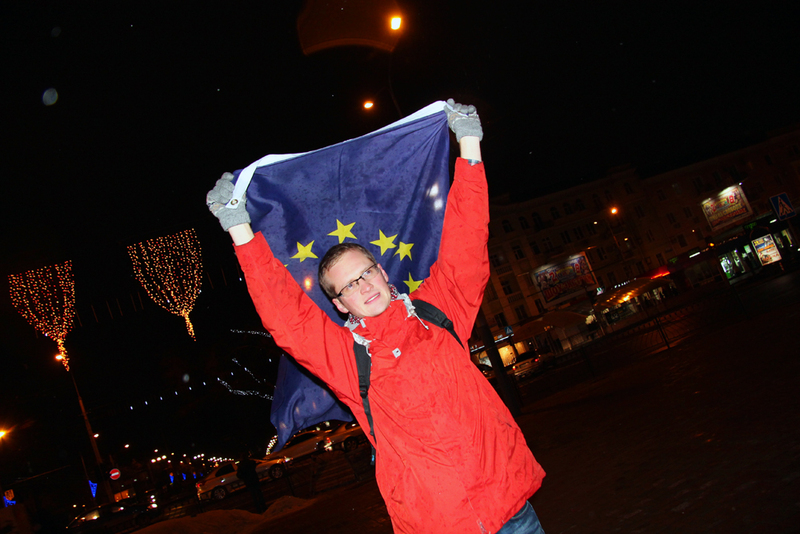 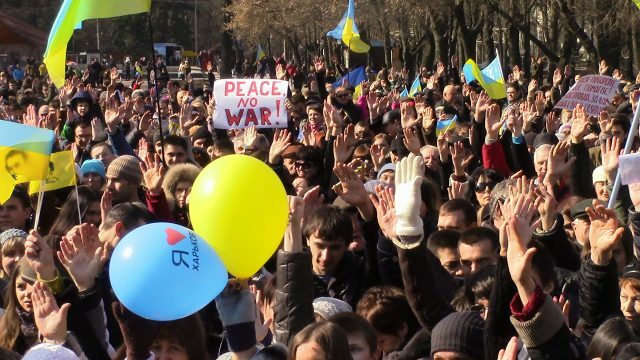 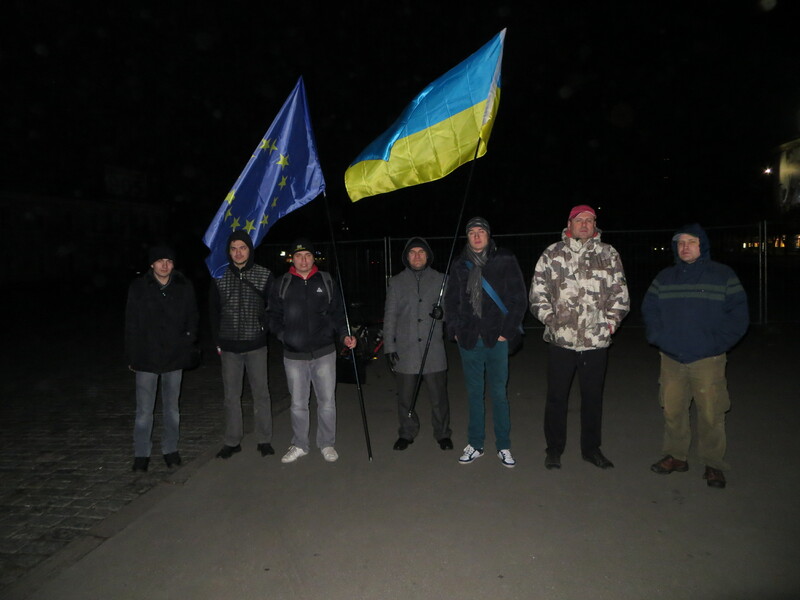 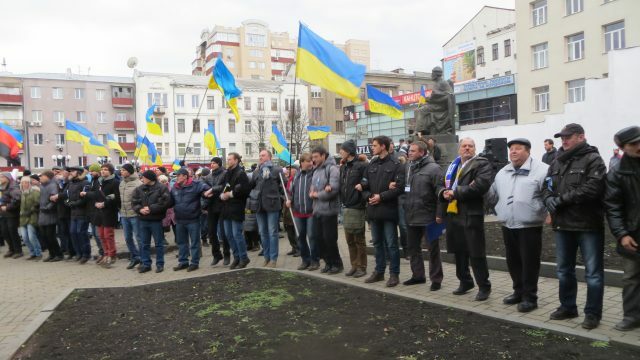 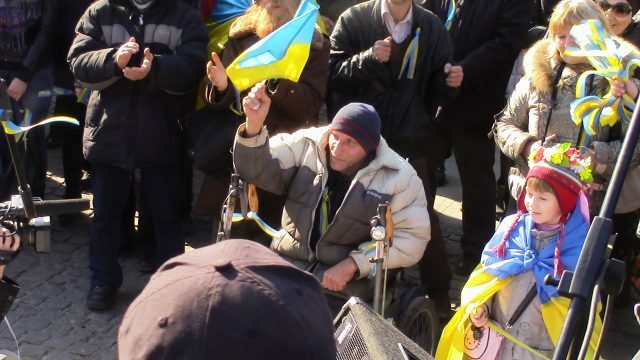 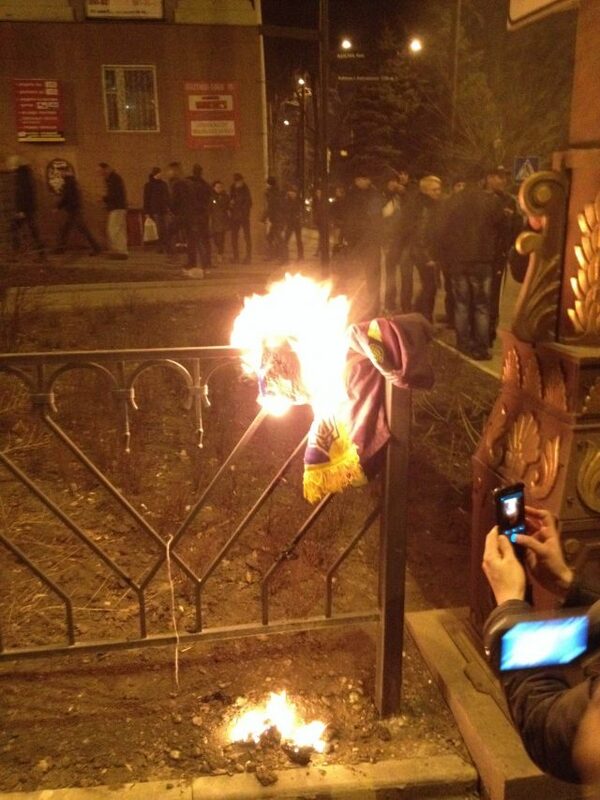 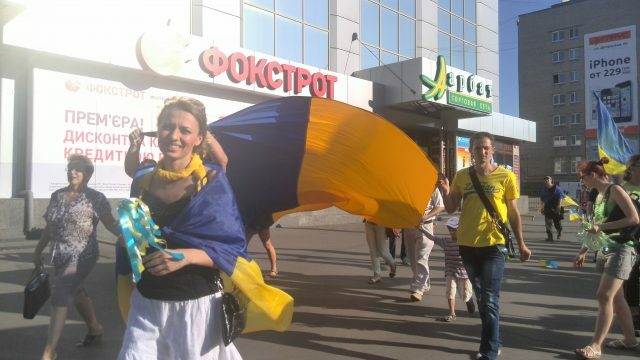 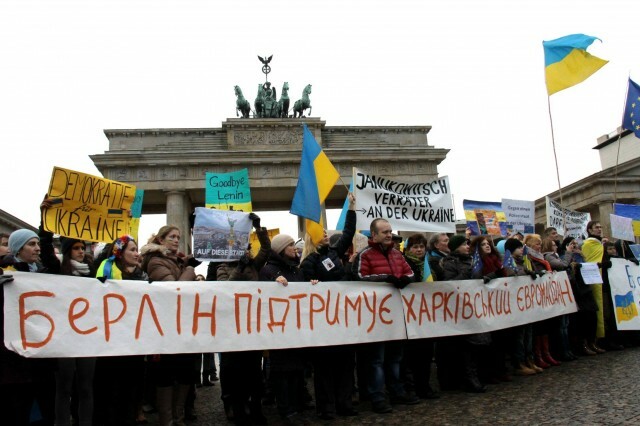 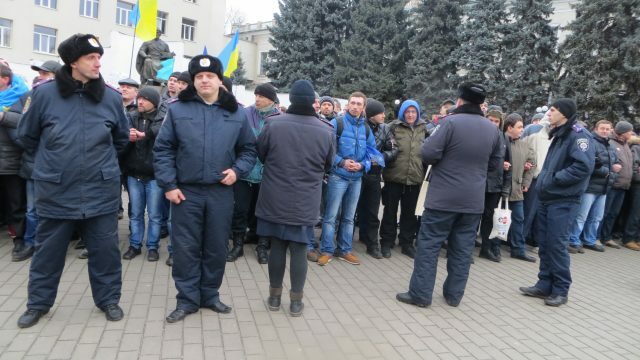 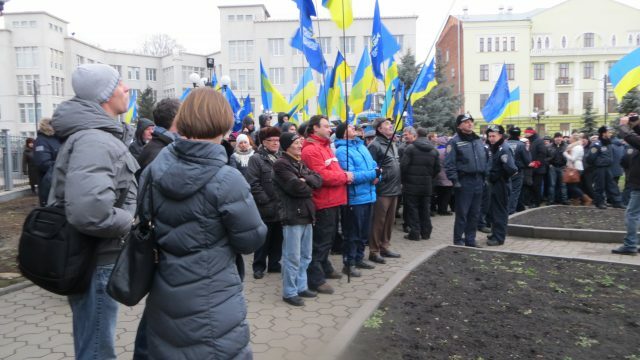 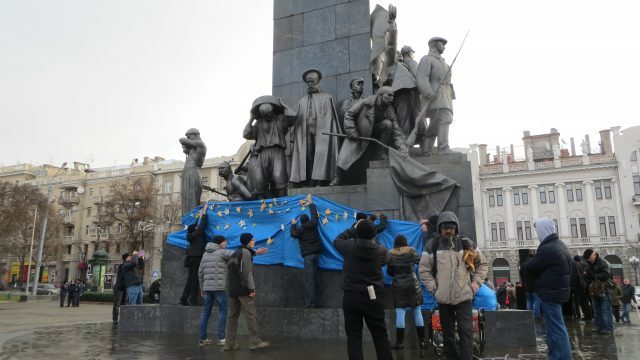 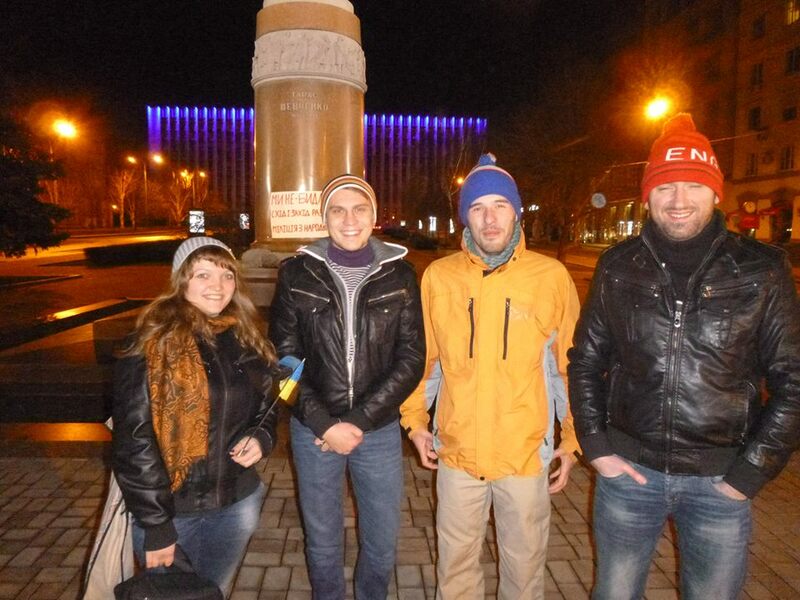 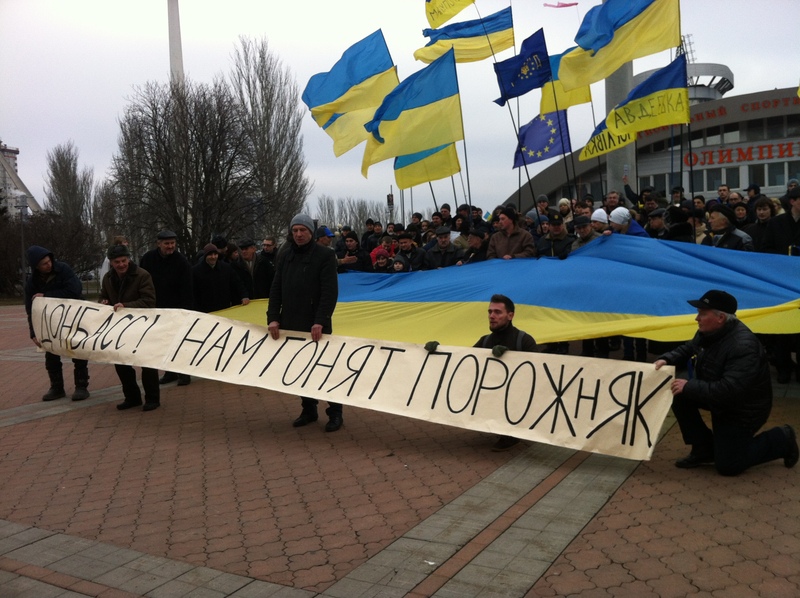 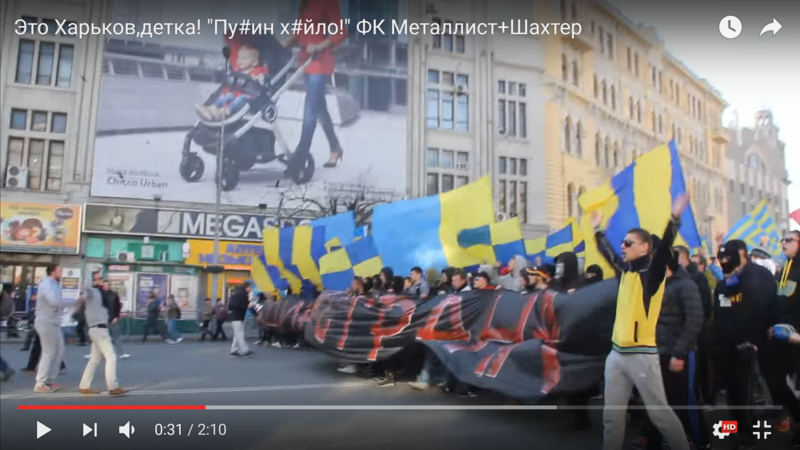 Activists from Kharkiv brought flags and Ukrainian symbolics. 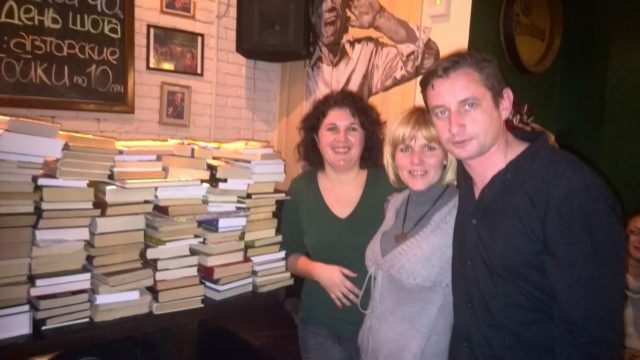 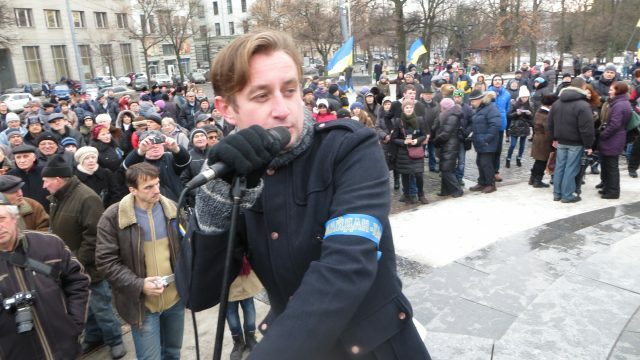 Kharkiv, November 31, 2014, Sergij Zhadan collects books as donations for Ukrainian Army. 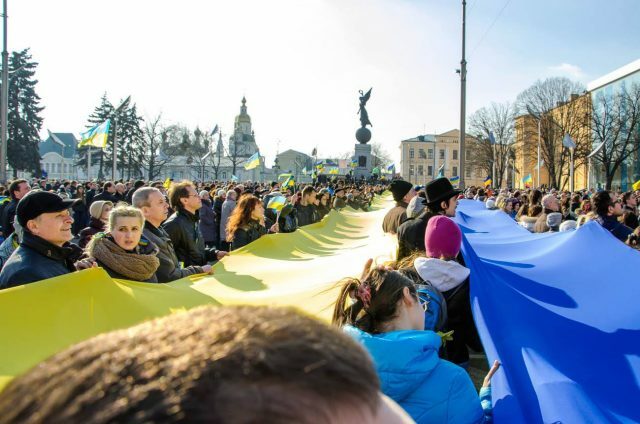 Frontline, April 5, 2015. 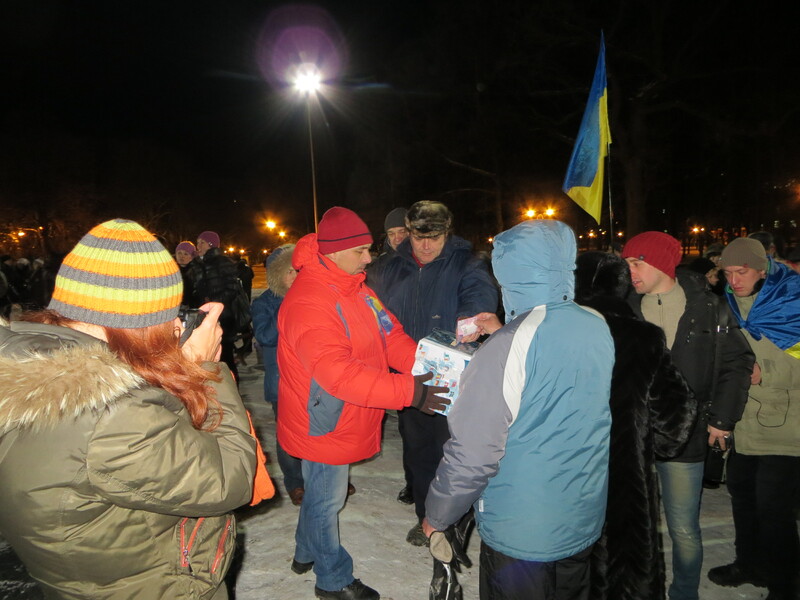 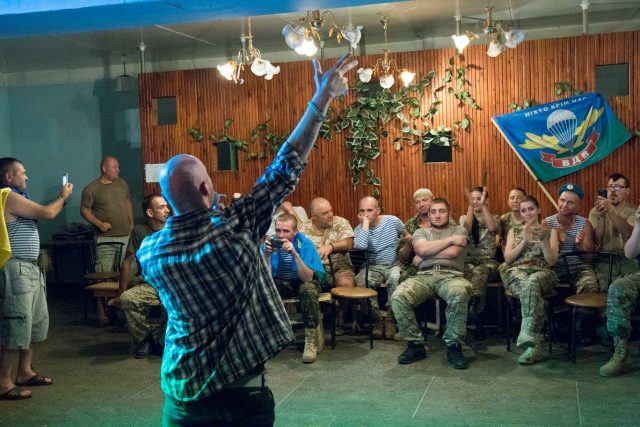 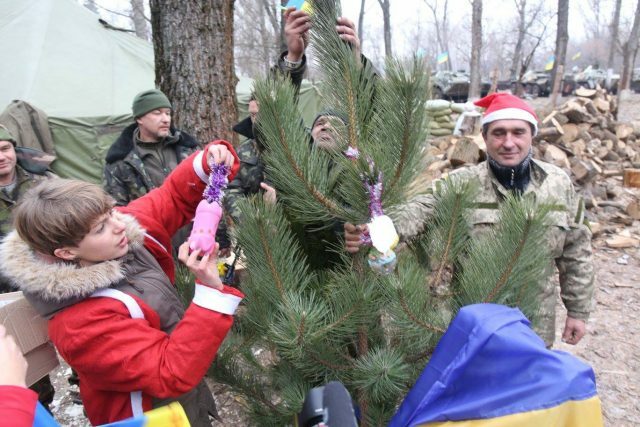 Volunteer artists from Kharkiv entertain the Myrotvorets (Peacebuiler) batalion. 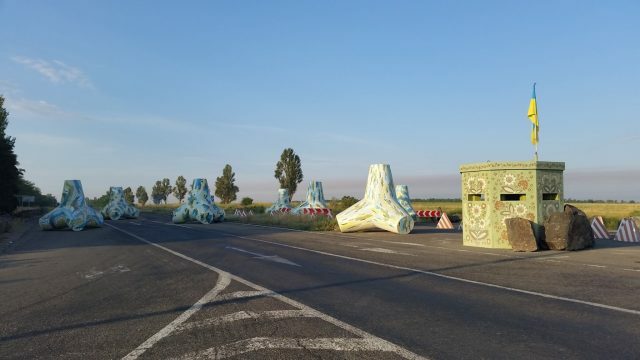 August 14, 2015, checkpoint near Maruipol, ready to be used any time.